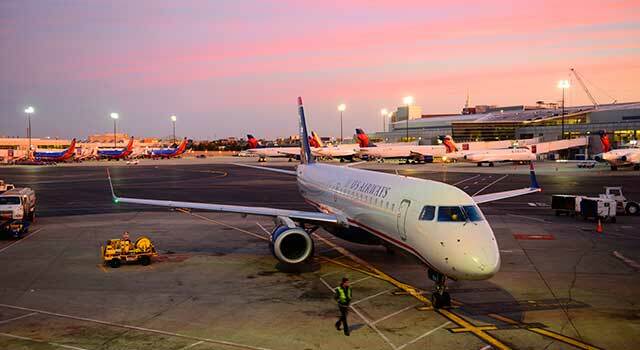 Use this website to quickly find the most important information about Boston Logan International Airport: Flights (Departures, Arrivals), Parking, Car Rentals, Hotels near the airport and other information about Boston Airport. Plan your travel to Logan Airport with the information provided in this site. Boston Logan International Airport (IATA: BOS, ICAO: KBOS, FAA LID: BOS), officially known as General Edward Lawrence Logan International Airport, Logan International Airport or simply Boston Airport, is the main international airport serving the city of Boston, Massachusetts, United States. Boston Logan Airport served 38 Million passengers in 2017. 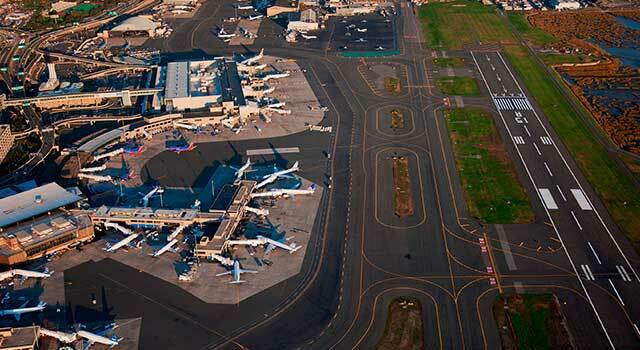 There are four terminals in Logan International Airport (A-B-C-E). Terminal E is the International Terminal of the airport. The airport is located in East Boston, 3 miles driving from Downtown Boston. Logan Airport has destinations to North America, Latin American, the Caribbean, the Middle East, Europe and Asia. 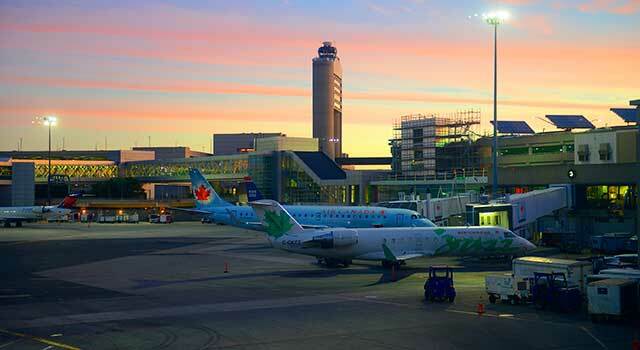 BOS Airport serves as a hub for Delta Air Lines, Azores Airlines and Cape Air as well. It is a focus city for JetBlue. Another airline that carries out operations from the airport is American Airlines. In 2017 the airport handled 38,412,419 million passengers, this number ranks Boston airport as the 16th busiest one in the United States. The same year the airport managed 401,371 aircraft operations. he airport handles domestic and international flights, being the top busiest routes the following ones: Atlanta, Chicago, San Francisco, Washington, LA, New York, Baltimore, Philadelphia, Orlando and Newark. 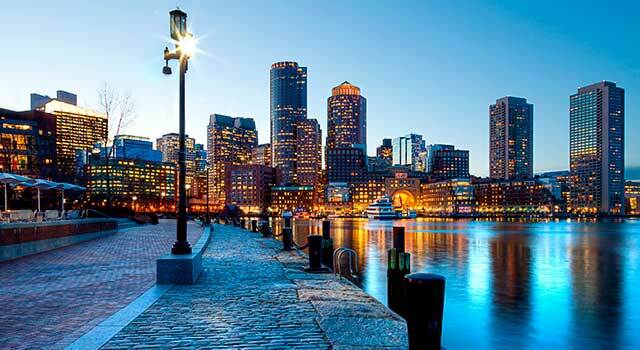 Aside of being a well-known city in the United States, Boston is one of the oldest cities in the country. The city was home of relevant events in US history such as the American Revolution, the Boston Tea Party, the Battle of Bunker Hill, and many others. In fact, a huge amount of the 20 million visitors that visits the city each year is attracted by its rich history. 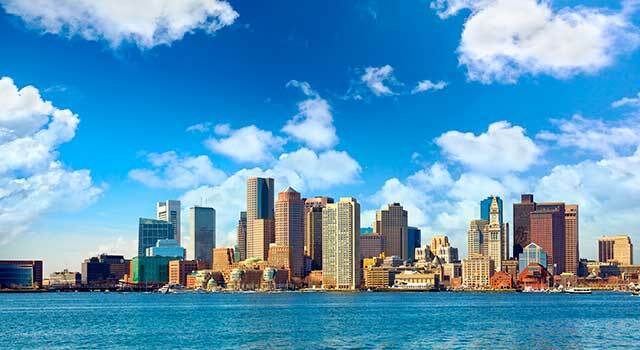 Nowadays, Boston is an important port and manufacturing hub, also a major center for education and culture, being an international focus for higher education, and a world leader in both innovation and entrepreneurship that concentrates over 2,000 start-ups. - Terminal A: Boston Logan Terminal A is composed by the Main Building and the Satellite Building. It has 21 gates and hosts two Delta Sky Clubs. - Terminal B: Boston Logan Terminal B has gates from B1 to B38. The terminal consists of the North and the South buildings. - Terminal C: Logan Airport Terminal C is the one with more gates C8-C10, C11–C21, C25–C36 and C40–C42. It has a non-denominational chapel. - Terminal E: Logan Airport Terminal is the International Terminal at BOS Airport. It consists of three different levels (first one is for arrivals and the second and third one are for departures). All the international airlines operate in the terminal. - Sliver Line Bus: At the first stop (South Station) connects with the commuter rail Red Line. Boston airport provides different services and facilities to all passengers as Free Wi-Fi, Duty Free Shops, Stores, Restaurants and Bars, Business Services, Spa, Chapel, a Children’s Play Area, Chapel and two different Hotels. Check all the options here! You can get to the Lost & Found Office on the departures level between Terminals B and C. Opening hours: Daily, from 07:00 am to 11:30 pm. Security Checkpoints, please, call: +1 (617) 561 2047. Customs Hall: +1 (617) 5681810. Lost Items on Aircraft or Boarding Areas, please, get in touch directly with your airline.